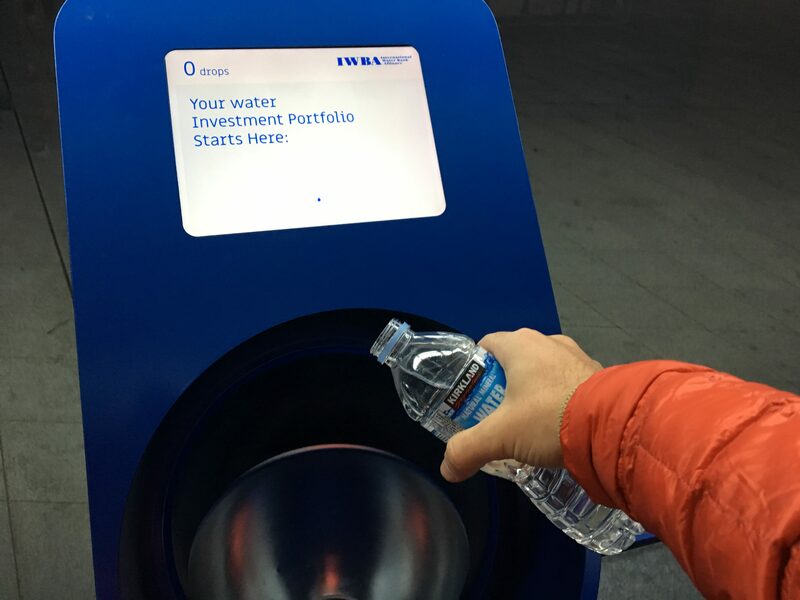 Serving as an umbrella organization for some of the world’s leading water banks, the IWBA promotes and facilitates investment in emerging drought market opportunities. 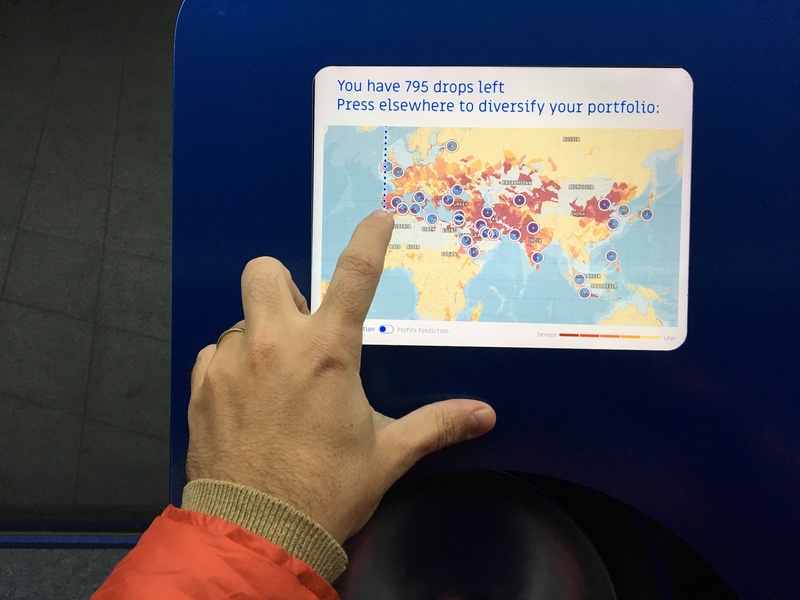 In the exhibition space we are excited to launch a new water deposit kiosk inviting the audience to start their water investment portfolio by pouring water into the pipe and then choose to diversify their investment throughout our growing selection of future drought stricken markets. Satisfy your thirst for profit and invest wisely as tomorrow’s drought is today’s opportunity. The Chronicles of a Prepper is a trilogy that examines air, food and water from the perspective of a prepper, who is actively preparing for emergencies, such as tsunami, terrorist attack, nuclear explosion, financial crisis, and/or other crises. The trilogy is curated by Hyewon Lee, Part 1 was opened on November 8th 2016 in Seoul’s Dongdaemun Design Plaza. 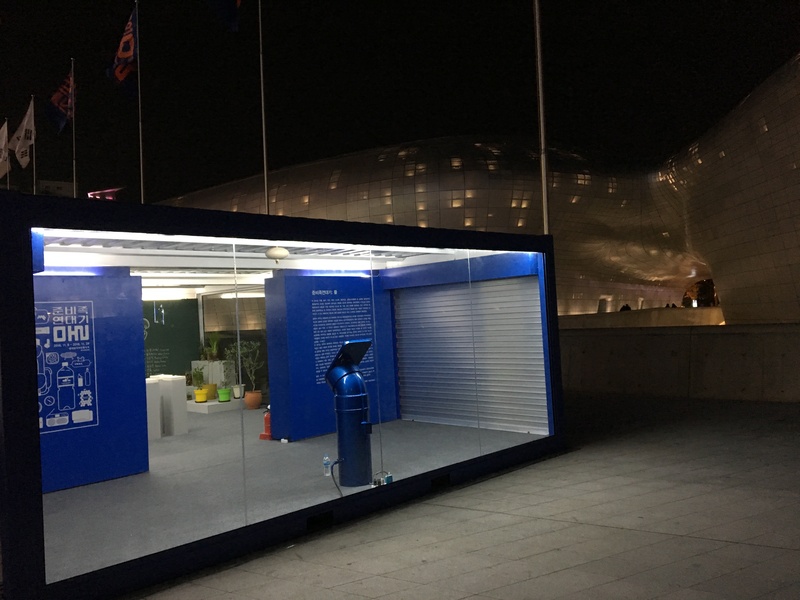 View of the work installed at the Chronicles of a Prepper exhibition at Seoul’s Dongdaemun Design Plaza.